JFW is proud to introduce our latest innovation in high-power RF switching. 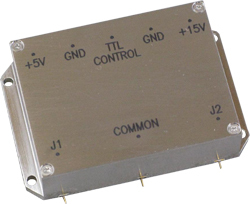 The 50S-1887 SMT is a surface-mount switch that can handle up to 100 Watts (average RF input power) and it’s capable of hot-switching 20 Watts. The 50S-1887 is designed to operate from 225-400 MHz, but other frequency ranges may be available upon request.